The Pentagon will aid in investigating reports that at least 33 civilian died near the Syrian town of Raqqa during a US-led coalition airstrike, officials said on Wednesday, following accusations from Damascus. “At this time, we have no indication that an airstrike struck civilians near Raqqa as the Syrian Observatory for Human Rights claims,” said an official statement from Operation Inherent Resolve, the US-led coalition against Islamic State (IS, formerly ISIS/ISIL). According to local media reports, bombs from a US-led coalition plane hit a school in Al-Badia Al-Ad Dakhiliyah in the south of Al-Mansur, where at least 50 families from Raqqa, Palmyra, and Aleppo had been taking shelter. The school building itself was completely destroyed. Syria’s Foreign Ministry has confirmed the reports and called on the United Nations Security Council “to stop the massacres and acts of destruction and sabotage perpetrated by the international coalition,” SANA news agency reported. “The attack claimed the lives of over 30 children and women and it injured tens of Syrian civilians in addition to destroying the school which was home for nearly 50 families displaced from Aleppo, Raqqa and Palmyra,” the Foreign Ministry said in two letters sent to the UN Secretary General and the President of the Security Council. 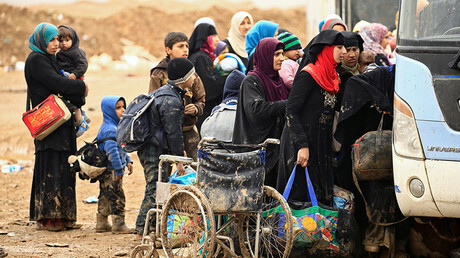 The letter added that this is not the first time the coalition, set up without coordination with the Syrian government, is carrying out airstrikes in Aleppo, Raqqa, Deir Ezzor and other areas that have claimed the lives of civilians. Al-Mansur is around 30 kilometers (18.5 miles) west of Raqqa, which is held by Islamic State (IS, formerly ISIS/ISIL). 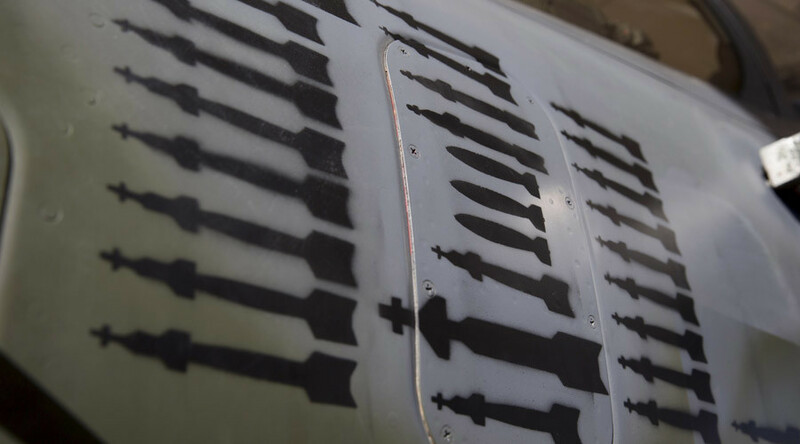 Earlier in March, officials from Operation Inherent Resolve admitted responsibility for at least 220 civilian deaths in Syria and Iraq during their campaign against IS. However, the monitoring group Airwars has asserted that this figure may be far below the real death toll, which may be as high as 2,700. The Pentagon admitted that it had carried out 19 strikes near Raqqa on Monday, three of which destroyed a local IS base. The airstrikes are meant to support the Kurdish-led Syrian Democratic Forces (SDF), an alliance of armed groups currently advancing on Raqqa, the de-facto capital of the extremist Islamist group. 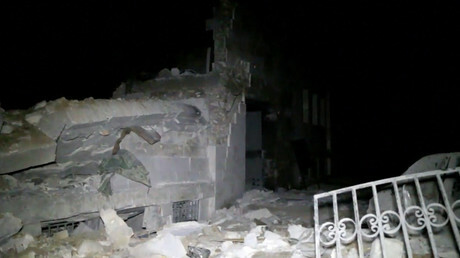 On March 16, a mosque packed with worshipers in the Syrian village of Al-Jinah was hit by a missile strike in which at least 50 people were reportedly killed. The Pentagon has denied responsibility, claiming that it had targeted a nearby town hall being used as a meeting place for IS, with spokesman Captain Jeff Davis claiming the mosque remained “relatively unscathed,” despite video evidence to the contrary.